Here is the thirteenth installment of Notations! 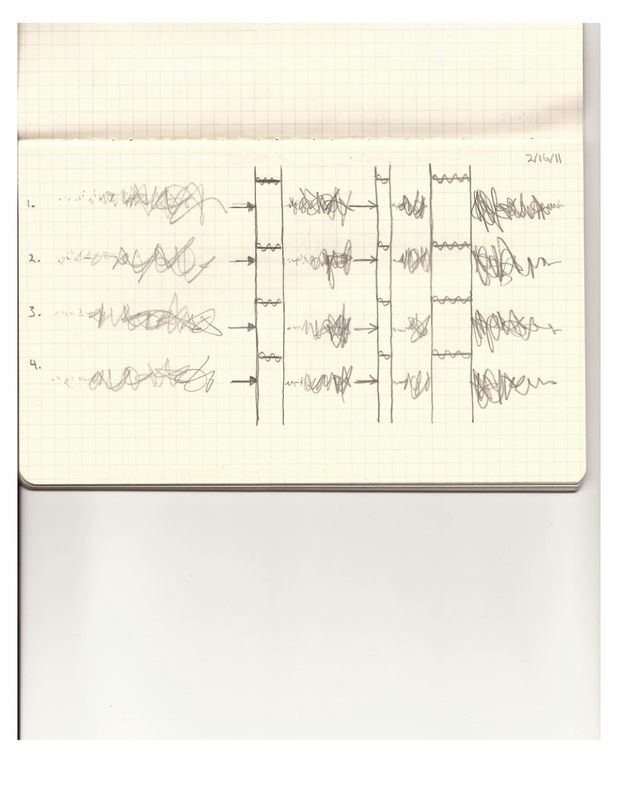 Inspired by Cage's 1969 book, Notations is a collection of graphic scores, hand drawn music calligraphy, computer code, compositional sketches, text scores, and other innovative forms of musical notation. Every Monday we'll showcase notation by two different composers, primarily focusing on those local to Los Angeles. This week's composers are Odeya Nini and Andrew Tholl. All images used with permission, and copyright is retained by each image's respective creator. Click on the images to see a larger view. Composer and vocalist Odeya Nini, constructs acoustic, electro acoustic, and electronic music, incorporating experimental improvisation and malleable forms. At the locus of her interests are textural harmony, gesture, tonal animation, and the illumination of minute sounds, in works spanning chamber music to vocal pieces and collages of musique concrete. Utilizing various mediums of expression, space, atmosphere, acoustics, tone, performance and syntax are reconsidered to allow novel ways for sonic experiential reverberations. As a composer, Andrew Tholl’s interest lies in the exploration of the passage of time, the physicality of making music, noise, nostalgia, memory, and the merging of diverse musical styles. He has been commissioned by wild Up, the New Century Players, Machine Project, Danny Holt, and more. His works have been heard at REDCAT at the Walt Disney Concert Hall (Los Angeles), the Dartington International Summer Festival (England), Complice (Berlin), Beyond Baroque (Los Angeles), Princeton University (New Jersey), Listen/Space (New York), Gridlock (Vancouver), CNMAT (Berkeley), and the Hammer Museum (Los Angeles). 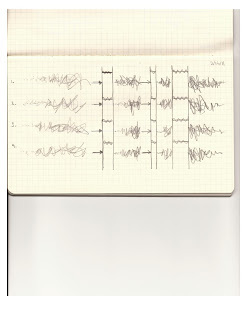 Happy 101st Birthday to John Cage!